What if you could download a cheeseburger? Inching ever closer to the Star Trek replicator, designer Janne Kyttanen and his studio Freedom of Creation have just that in mind, entering the next frontier of 3D-printing: food. 3D-printed chocolate, cookies and even vegan bacon have already made appearances on the scene, and Kyttanen believes this is just the first step into a future of entire menus of 3D-printed food. 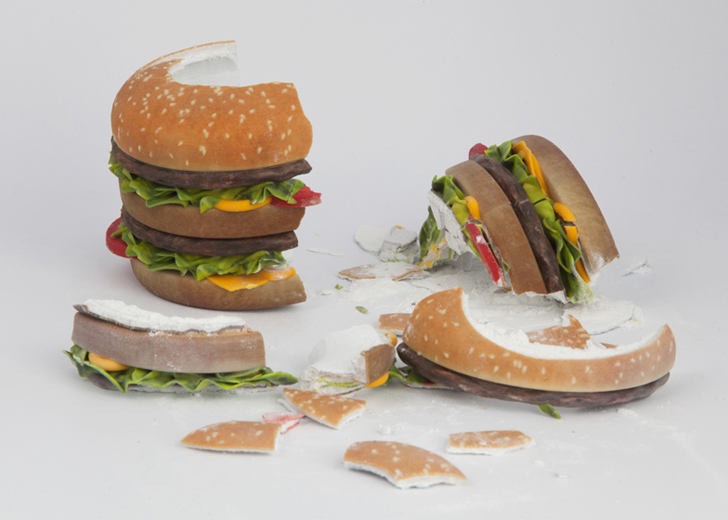 Using plaster models of pasta and hamburgers as a first step, Kyttanen’s study paves the way for the future of our food, which could change how we eat by giving us total control over the ingredients we consume. Kyttanen is not only the co-founder of Freedom of Creation, but also the creative director of printer manufacturer 3D systems, making him at the forefront of the technological movement. Although 3D-printing in chocolate and cookies have already become a mastered task, the technology has a long way before an entire multi-ingredient 3D-printed meal will come to the table. But if the rapid progression of 3D-printing technology over just the past year is any indication, it may be sooner than we think. Kyttanen and his team imagine a future of 3D-printed meals at home, using pared-down ingredients of liquids and powders that are fused together with 3D printers to make dinner. Although still in the conceptual phase—his burgers and pastas are printed from plastics—Kyttanen’s pieces act as prototypes to excite the general public in rousing demand for more 3D printing exploration in the food industry. The questions remain; will 3D printed whole meals become the new delicacy, or will our discerning palates only accept ideas like 3D-printed pasta and cookies. Kyttanen is not only the co-founder of Freedom of Creation, but also the creative director of printer manufacturer 3D systems, making him at the forefront of the technological movement. Although 3D-printing in chocolate and cookies have already become a mastered task, the technology has a long way before an entire multi-ingredient 3D-printed meal will come to the table. But if the rapid progression of 3D-printing technology over just the past year is any indication, it may be sooner than we think. Kyttanen and his team imagine a future of 3D-printed meals at home, using pared-down ingredients of liquids and powders that are fused together with 3D printers to make dinner. 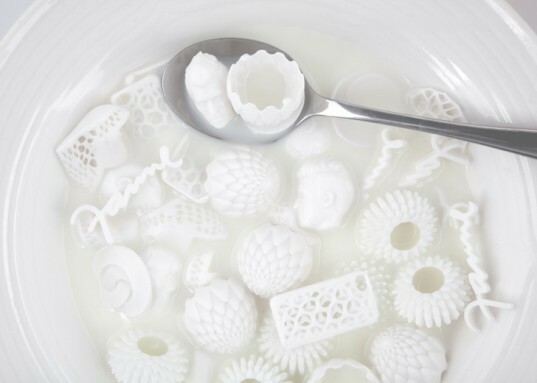 Although still in the conceptual phase—his burgers and pastas are printed from plastics—Kyttanen’s pieces act as prototypes to excite the general public in rousing demand for more 3D printing exploration in the food industry.